Most of our mirrors are sold for use in typical industrial or laboratory environments. Some applications though need reflective surfaces to work at extreme temperatures or in corrosive environments. We have had good results in polishing Inconel 625 to a laser quality mirror finish. Inconel alloys are oxidation and corrosion resistant materials, well suited for use in extreme environments subjected to pressure and heat. They are widely used in motorsport exhaust systems, rocket motors, and the latest electric vehicles such as the Tesla, in ludicrous mode ! When heated, Inconel forms a thick, stable, passivating oxide layer protecting the surface from further attack. Inconel retains it’s strength over a wide temperature range, attractive for high temperature applications where aluminium and steel would succumb to creep. Conventional machining is difficult, especially thread cutting. Often profiling and cutting is done by water jet or EDM. ULO Optics Ltd, one of the top infrared optics manufacturers in the world, has purchased Laser Beam Products. Continuing its’ plans of growth through diversification it now gives ULO two manufacturing sites within the UK. The new site in Bedfordshire will now operate as LBP Optics Ltd.
ULO Optics has been designing, manufacturing and supplying CO2 laser optics, and mid-IR optics for thermal imaging and sensing since 1982. With a drive to make sophisticated beam delivery equipment more affordable without compromising quality, they also manufacture a range of CO2 and 1µm fiber compatible beam delivery systems. LBP Optics has 27 years’ expertise designing and manufacturing a unique range of chemically polished metal mirrors for use in the industrial and scientific laser marketplace. 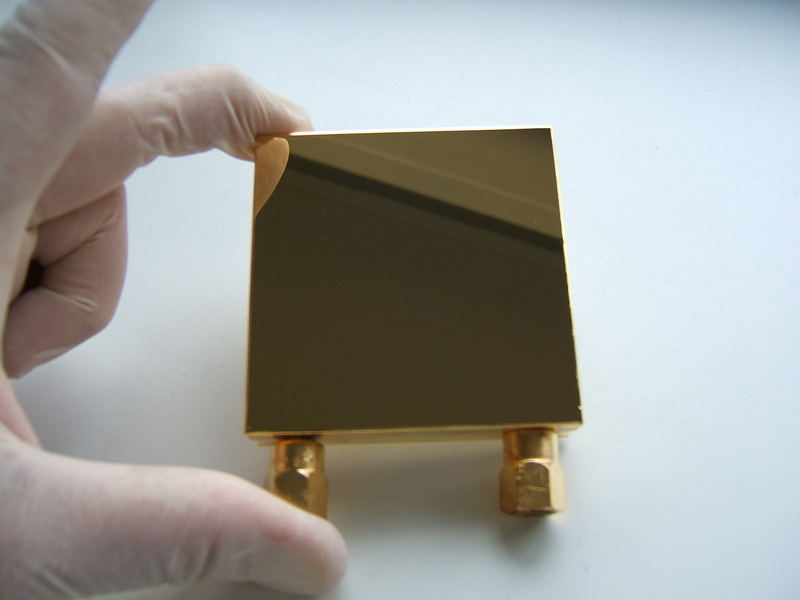 Their mirrors are used in applications from CO2 and fiber laser cutting and welding, through to medical and dental lasers, gas sensing and spectroscopy. According to Mark Wilkinson, founder of Laser Beam Products, this is an exciting development that will ensure the continuing growth of both businesses and allow them to meet the ever-increasing demand for their products and services. We’ve recently published an article in our newsletter about an increase in demand for our mirror reworking service. This isn’t just idle boasting, it is a result of OEMs dramatically cutting support for installed CO2 lasers, including a big reduction in stocks of spare parts. This is probably because the bulk of current OEM production is now focused on fiber lasers, therefore support for existing CO2 laser users has been cut. So at LBP we’ve seen a corresponding increase in demand for laser mirror repairs, not just for truly obscure mirrors but for parts that were standard and widely available just 2 or 3 years ago. We regularly repair, polish and coat a wide range of mirrors, including copper and molybdenum, to a ‘good as new’ condition, saving our customers time and money. Sometimes a high power infra red laser needs to have its power attenuated, or have strongly diverging modes removed from the beam. At Laser Beam Products we manufacture mirrors with precision through holes or with sharp knife edges that are very cost effective, even when made to your design as a one-off prototype. We usually advise customers that the length of the hole is no more than the hole diameter, to avoid having a “tunnel” with an aperture at either end. We can make tapered holes to avoid this problem. Because our Gold coating is applied electrochemically the internal bore of any hole is also Gold coated. If an acousto-optic modulator (AOM) is being used, a reflective aperture can be used to manipulate one of the beam orders to be reflected and the other to be transmitted. We can make through holes as small as 1 mm diameter very accurately. One of our customers, a European automotive manufacturer, sent us a collection of used mirrors from their production line that had accumulated minor burns and scratches, and had been swapped out. They were large, complex water cooled beam delivery mirrors which we repolished and recoated to a condition that was as good as new. The mirrors were repaired and returned in under 3 weeks. The customer was delighted and told us the mirrors were working perfectly, and had saved them $15,000 on the cost of new mirrors!. They have since had them reworked three more times. Here’s an example of another customer’s mirrors that we reworked to a ‘good as new’ condition. These were from a gas sensing cell made by a company who stopped supporting their equipment. You can find out more on our website.